Like Doctor Who, Top of the Pops was always a part of my childhood for as far back as my memory goes. It was just something that was always there, and my infant brain saw it in much the same way as Winter, Spring the Sun or the Moon. I remember dancing in front of the large black and white television in the family flat in Birmingham much to the amusement of my parents plus Tony and Jill, the couple upstairs who didn't have a TV but always came down on Thursday evening to watch. Personally I couldn't quite see what was so funny about my dancing - I had decided that it must consist of clenched fists bounced up and down in front of me - but I enjoyed the music and the experience plus I was getting attention so it was all good. There was always music around whether it was the records my parents would put on - the Beatles (interesting if sometimes scary) or Bob Dylan (inexplicably sad because I thought the combination of his voice and the harmonica sounded like crying) but Top of the Pops was the centre of the week. 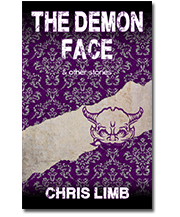 Earliest memories were of the bands playing or of women dancing to the songs - Pan's People they were called. I always wondered if one week Pan was going to turn up - I had no idea who he or she was but assumed they were in charge. Then short films of the songs started being shown when the bands couldn't or wouldn't appear and this - the birth of the video - was where things started to get interesting. There are some early videos that I remember but can't track down - including one for the Laughing Gnome by Bowie which must have been reissued at some point in the 70s - but the main early memories centred around Space Oddity and Bohemian Rhapsody, both from 1975 (the Bowie single being another reissue). The narrative as told by the video of Space Oddity was haunting and frightening and stayed with me. I used to wonder what had happened to Major Tom and didn't buy my babysitter's explanation that "I think 'e died." As a child five years is a long time and so Major Tom's reappearance in the video to Ashes to Ashes in 1980 was as exciting a moment for me as the reappearance of the Cybermen in Earthshock. But it's Bohemian Rhapsody that everyone else remembers. Looking at it now it's rather tame and the effects used basic, but - combined with the unusual nature of the song itself at the time this was all people could talk about at school the next day. It was at number one for a long time and there were parts of it that you looked forward to seeing every week - specifically the weird bit in the middle. One week Top of the Pops, wearying of the lengthy song outstaying its welcome, faded it out just before that bit and my sister burst into tears. By the time Major Tom made his reappearance the videos on Top of the Pops had started to become more commonplace and many of them were quite memorable - from the Police cavorting about in front of a Saturn V at Cape Canaveral to Madness and their flying saxophonist. And then in 1981 - which was the year it all changed anyway - things took a turn for the interesting. Not put off by the limited budgets and effects available to them, the New Romantic bands started experimenting resulting in such disturbing nightmare imagery as Visage's Mind of a Toy - it may look silly now but at the time it was impressive (although some of that may be due to the fact that I was far more impressionable back then). One band that became known for their videos were Ultravox who produced mini-movies. Nowadays everyone goes on about Vienna but the ones that impressed me the most at the time were the videos for the two singles that followed at the end of that year the dreamlike The Thin Wall and epic bombastic The Voice. And my feelings there were symptomatic of a shift in attitude. Whereas at first the video had been a substitute for a live (mimed) performance, so much artistic effort was being put into them that ultimately you ended up being disappointed if you didn't get to see it. This came to a head when Adam Ant returned to the Top of the Pops studio in 1982 for Goody Two Shoes. Up until then he'd been too big to appear and as a result his playful videos had become essential watching and part of the anticipation of the release of a new single. Furthermore his live appearance was just cavorting about with a load of scantily clad dancers - no band in sight, miming or otherwise. That was boring. We wanted to see the video, dammit! 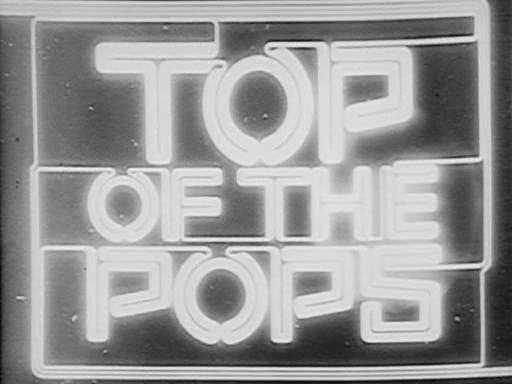 Of course Top of the Pops couldn't become a video only show - that would miss the whole point of its existence. And yet the video continued to grow and grow, artistic experimentation giving way to glossy nothings as pop continued to be big business. Many of these videos ended up never being seen until - and it was only a matter of time - they begun to be sold on VHS. What had started out as a promotional tool had become an end in itself and something people would spend good money on in addition to the albums and singles. Across the Atlantic MTV had already taken advantage of this new musical form and was going great guns but back in the UK there was still no way to get access to many of them. Until the arrival of a new show on the fresh faced young Channel Four. The Chart Show.